Another late book haul but hey better late than never and better a post than no post at all, right? I picked up some great used books last month and received a few cool ARCs so let’s dive in! Each title is linked to their Goodreads page in case you want more info or to add it to your TBR too! Yes! I finally got a copy of the first book in the Witcher series and it’s about time. I absolutely adore the video games and I can’t wait to dive back into this world. A fantasy with a South Asian setting, I’m not quite sure if it qualifies as YA or not since some people say it is but I thought it was just “adult” fantasy. Not sure. Anyways it’s about an Order of trained elite female warriors, the MC is forced to go on the run after another takes control of the Order through murder. Murder in which the MC has no proof. It sounds like an interesting read! Indiana Jones in space? Yes please! This YA sci-fi is about humans discovering an ancient alien race whose technology could help save the planet but in order to get to it they must decode their secrets and survive their traps in the temple. This is a YA fantasy that is a bit on the dark side, at least from other reviews I’ve seen. It’s about Shalia, a young woman who goes into an arranged marriage in order to save her family. 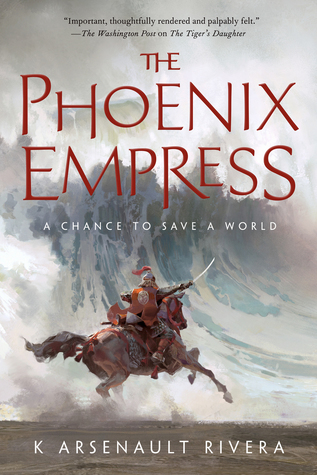 However, her husband is cruel and determined to exterminate Elementaie, people who can control the elements, and Shalia just so happens to be one. This just sounds so flippin’ good! I also like my books on the darker side….I don’t know I can’t explain myself, sorry….. I actually already finished this one and for a short story, it took me way too long. This is horror and I was actually blown away by how GOOD it was for being so short. Granted, the ending is a little too open for my liking but man was this good. I may do up a little mini review for it later! There’s nothing wrong with reading a little Middle Grade! This is about Prosper Redding, of course, who discovers he has a 400 year old demon living inside of him. Turns out his one of his great-great-great-etc. grandfathers made a deal with the demon in exchange for fortune but must serve eternally in return. The demon has re-awoken in order to take revenge on the family that betrayed him and Prosper only has a few days to break the curse and banish the demon. This is the sequel to “The Tiger’s Daughter” which is an Asian (Mongolian) inspired fantasy centered around a F/F romance. It’s a bit on the slow side but the writing and characters made the read very much worth it, I’m curious to see where the sequel takes us. Well first of all it’s from Rick Riordan Presents, which basically guarantees its greatness. 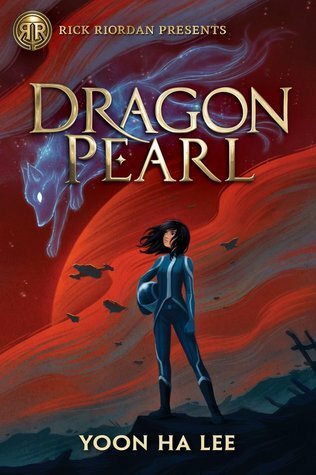 This is an Korean inspired middle grade space opera about Min, a young girl descended from fox spirits. When her brother leaves his post in the Space Forces to go off in search of the legendary Dragon Pearl, Min sets off to find him and clear his name. I’m telling you guys these Rick Riordan Presents books have me more excited for middle grade books than I have ever been! Well except for maybe I was in middle grade…. Great haul. Yeay to Magnus Chase. Middle grade it too awesome to ignore. Pingback: Spreading Love: Book Bloggers||Part 1||💕 | A Book. A Thought.